Tickets on sale now for February show. Tickets are on sale now for the Caravan, Camping & Motorhome Show, taking place from 23rd – 28th February 2016 at the NEC in Birmingham. The event is the UK’s largest start of holiday season showcase and every February welcomes visitors that love nothing more than spending their leisure time in the great outdoors. It’s the place to visit for families, pet owners and anyone else looking to go on holiday in a leisure vehicle and there’s plenty of free advice for those new to the lifestyle. Advanced tickets start at just £7* for seniors (60+ years), £8* for adults, kids go free, and free parking and a Show Guide are included too. In 2016 a brand new glamping holiday village will debut at the Show featuring bell tents, yurts, tipis and other trendy accommodation options. There’s more than 350 exhibitors, plenty of outdoor accessories to browse and buy and exciting feature areas that add up to make a fantastic value day out. The popular dog agility area returns as well as a packed programme of sessions in the revamped Experts’ Theatre, including slots on what to look for when buying a first leisure vehicle. For people new to towing, or those looking to freshen up their skills, the free towing experience is back to help visitors try driving with a caravan in a safe and controlled environment. 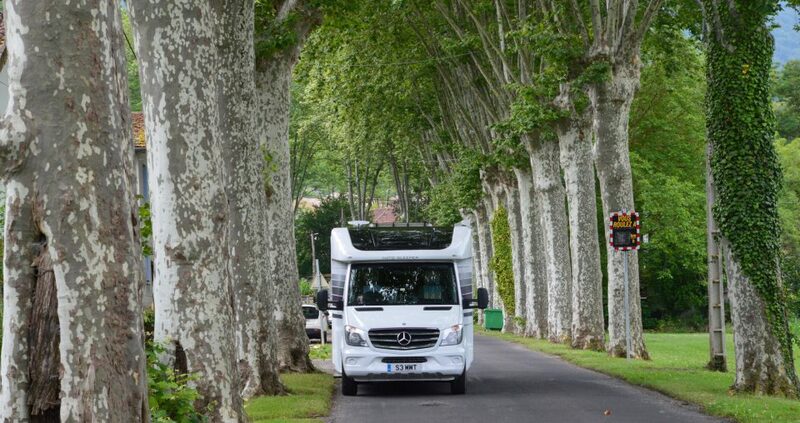 And, free motorhome manoeuvring sessions can be booked with expert tuition from qualified instructors. Organised by NCC Events, a wholly owned subsidiary of industry trade body the National Caravan Council, and supported by The Caravan Club and The Camping and Caravanning Club the Show features many leading leisure vehicle manufacturers, including Adria, Bailey, Coachman, Elddis, Lunar, Swift, Trigano and more. This means visitors will be able to compare all the latest motorhome and caravan layouts, interiors and benefit from exclusive show offers on thousands of products ahead of the 2016 season. * When booking before 23.59 on 22/2/16. On-the-door prices: £10.00 Adult, £9 Senior (60yrs+). Children 15 years and under go free when accompanied by a paying adult/senior. Car parking is included in the ticket price and the free show guide is subject to availability. No dogs (except assistance dogs). Calls to cost 7p per minute plus your phone company’s access charge. £1.25 transaction charge applies unless otherwise stated. NCC Events is the exhibitions arm ­ and a wholly owned subsidiary – of the NCC. The NCC is the trade body for the UK caravan industry, encompassing touring caravans, motorhomes, caravan holiday homes and park homes. The NCC represents some 800 member outlets in manufacturing, park operations, distribution, retailing, and in the provisions of specialist suppliers and services within the UK caravan industry, which is worth in excess of £6 billion per annum (sale of products, services and holiday spend). The Motorhome Caravan and Camping Show website is now up and running. The show is at London’s ExCeL between February 14th and 19th 2012 and the official partner of the show is The Caravan Club. Like the show just held at the NEC, February’s show is organised by the National Caravan Council’s NCC Events – an organisation set up to run shows for the industry and by the industry.